FINAL TICKETS ARE ON SALE HERE!! Cocktails Around Latin America is the Georgia Hispanic Bar's 4th annual signature fundraising gala. 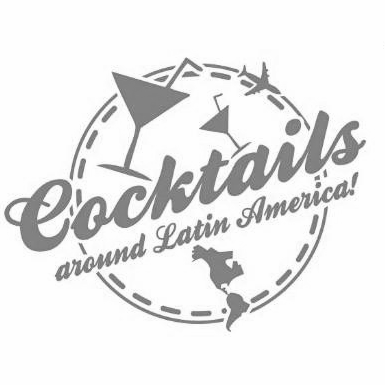 It's a unique opportunity for guests to enjoy a cultural experience by tasting various cocktails from throughout Latin America, while also learning about the dynamic countries represented at the event. The evening will also include a cash bar, heavy hors d’oeuvres, and lively entertainment. Last year’s event was a huge success and we hope you will join us this year! 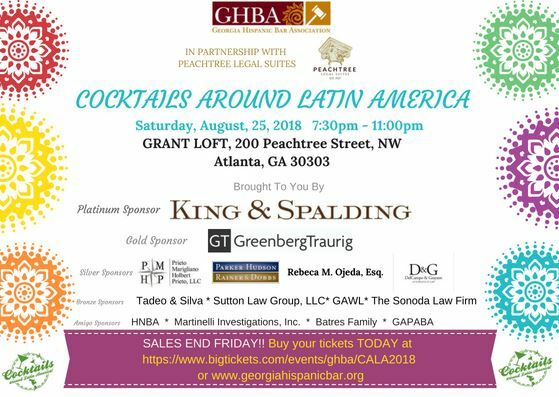 Our annual Signature Event is a fundraiser to support the Georgia Hispanic Bar Association’s Law Student Initiatives. These initiatives include sponsoring financial literacy programs and career development seminars for law students and junior attorneys throughout the year. With your help, the GHBA can continue expanding on these initiatives, adding things like scholarships for bar preparation courses and textbook stipends to the opportunities we already provide to assist students as they complete their legal education.